Marcellus is a village in Cass County and is part of the South Bend-Mishawaka, IN-MI, metropolitan area. The village has a total area of 0.59 square miles, of which, 0.58 square miles of it is land and 0.01 square miles is water. 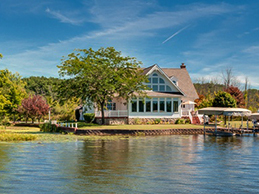 Many people who live on or around the many lakes of Marcellus and Marcellus Township work in communities to the north like Portage and Kalamazoo, or to the east in Three Rivers.